Good Gaming Laptop – The GTX 1050 Ti Aero 14! Recently we managed to get our hands on a very new gaming laptop from Gigabyte, an ultra slim and light AERO 14 with a GTX 1050 Ti inside! 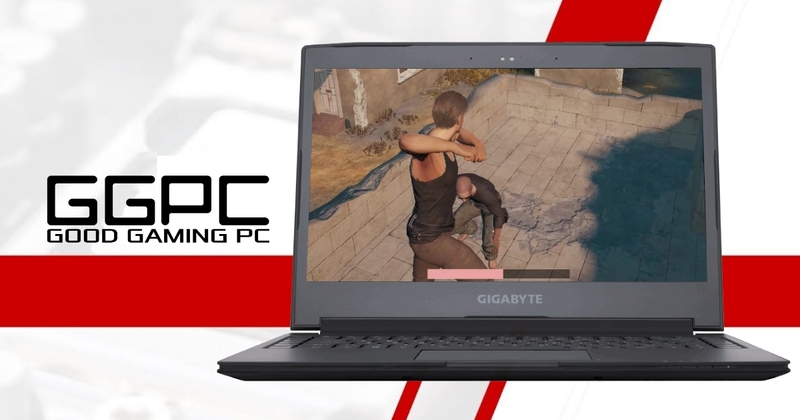 This was perfect as we really wanted to check out the GTX 1050Ti Laptop performance a game called Playerunknown’s Battlegrounds, but before we jump into gameplay FPS tests let’s take a quick look at the laptops full specs and design. The Aero 14 is ultra thin and light, weighing in at around 2KG while being less than 2cm thick – it’s packing a popular intel i7-7700HQ quad core CPU with a 4GB GTX 1050Ti and 16GB of DDR4 ram. The display is a beautiful anti-glare 2560×1440 IPS, edged entirely in black with just a dash of orange and carbon fibre on the back of the laptop. In addition to these, it also has a built in webcam and microphone which is good, a Kensington lock point and a nice white LED backlit keyboard for late night gaming. That ThunderBolt 3 port is great to see too, you can use these to attach an external graphics card boosting the power of your gaming laptop into that of top tier of desktop gaming systems! The game begins with an airdrop onto the island where 100 players proceed to battle it out until the last man standing is declared the winner. We specifically captured the 60-second gameplay video below to include the parachute landing, item grabbing and a player kill, while in a level with the heavy rain weather effect active. This is because we’ve heard from players having issues on low/mid range systems, specifically when the player first lands, the specific issue being that the buildings and items have not entirely loaded in! This would almost certainly lead to disaster as these opening moments are a rush for weapons to defend yourself with. We then continued straight on from the gameplay above, dodging crazy people with crowbars and getting into firefights – we even managed to get flash-banged yet survived! For all tests we ran with the fans set to auto, you can use the included Gigabyte Smart Manager software package to tweak this but auto works perfectly, ramping up and down the fan speeds when needed. Overall we’ve loved spending time with this laptop, the design is so nice and physical build is of the highest quality, the intel/nvidia hardware combination is superb and that Pantone certified display, along with the Dolby speakers is both suprising and beautiful. 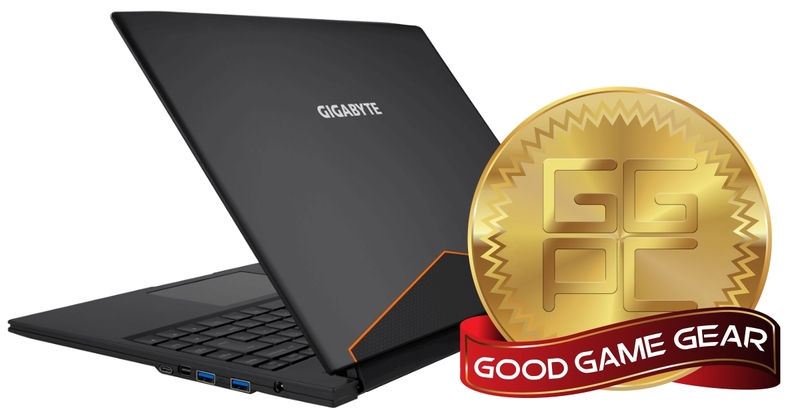 Best of all though, now that we’ve had a really good go with the new GTX 1050 Ti Gaming Laptop we can happily give it our GGPC Recommends Award – The Gigabyte Aero 14 GTX 1050 Ti is GOOD!